Yamaguchi, M.; Ozawa, H.; Katsumata, H.; Akiyama, T.; Manabe, K. “One-Pot Synthesis of 2,3-Disubstituted Benzofurans from 2-Chlorophenols Using Palladium‒Dihydroxyterphenylphosphine Catalyst” Tetrahedron Lett. 2018, 59, 3175-3178. Konishi, H.; Futamata, S.; Wang, X.; Manabe, K. “Rapid Formation of Fluoren-9-ones via Palladium-Catalyzed External Carbon Monoxide-Free Carbonylation” Adv. Synth. Catal. 2018, 360, 1805-1809. Konishi, H.; Sekino, T.; Manabe, K. “Palladium-Catalyzed External-CO-Free Carbonylation of Aryl Bromides Using 2,4,6-Trichlorophenyl Formate” Chem. Pharm. Bull. 2018, 66, 562-567. Yamaguchi, M.; Manabe, K. “Three-Step Synthesis of 2,5,7-Trisubstituted Indoles from N-Acetyl-2,4,6-trichloroaniline Using Pd-Catalyzed Site-Selective Cross-Coupling” Org. Biomol. Chem. 2017, 15, 6645-6655. 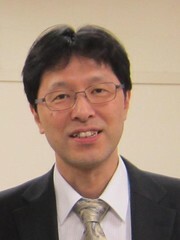 Konishi, H.; Matsubara, M.; Mori, K.; Tokiwa, T.; Arulmozhiraja, S.; Yamamoto, Y.; Ishikawa, Y.; Hashimoto, H.; Shigeta, Y.; Tokiwa, H.; Manabe, K. “Mechanistic Insight into Weak-Base-Catalyzed Generation of Carbon Monoxide from Phenyl Formate and Its Application to Catalytic Carbonylation at Room Temperature without Use of External Carbon Monoxide Gas” Adv. Synth. Catal. 2017, 359, 3592-3601. Yamaguchi, M.; Suzuki, K.; Sato, Y.; Manabe, K. "Palladium-Catalyzed Direct C3-Selective Arylation of N-Unsubstituted Indoles with Aryl Chlorides and Triflates" Org. Lett. 2017, 19, 5388-5391. Konishi, H.; Tanaka, H.; Manabe, K. “Pd-Catalyzed Selective Synthesis of Cyclic Sulfonamides and Sulfinamides Using K2S2O5 as a Sulfur Dioxide Surrogate” Org. Lett. 2017, 19, 1578-1581. Konishi, H.; Hoshino, F.; Manabe, K. “Practical Synthesis of Axially Chiral Dicarboxylates via Pd-Catalyzed External-CO-Free Carbonylation” Chem. Pharm. Bull. 2016, 64, 1438-1441. Yamaguchi, M.; Akiyama, T.; Sasou, H.; Katsumata, H., Manabe, K. “One-Pot Synthesis of Substituted Benzo[b]furans and Indoles from Dichlorophenols/Dichloroanilines Using a Palladium-Dihydroxyterphenylphosphine Catalyst” J. Org. Chem. 2016, 81, 5450–5463. Yamaguchi, M.; Higuchi, M.; Tazawa, K.; Manabe, K. “Three-Step Synthesis of Fluoranthenes through Pd-Catalyzed Inter and Intramolecular C−H Arylation” J. Org. Chem. 2016, 81, 3967-3974. Konishi, H.; Nagase, H.; Manabe, K. “Concise Synthesis of Cyclic Carbonyl Compounds from Haloarenes Using Phenyl Formate as the Carbonyl Source” Chem. Commun. 2015, 51, 1854-1857. Yamaguchi, M.; Manabe, K. “One-pot Synthesis of 2,4-Disubstituted Indoles from N-Tosyl-2,3-dichloroaniline Using Palladium-Dihydroxyterphenylphosphine Catalyst” Org. Lett. 2014, 16, 2386-2389. Konishi, H.; Ueda, T.; Manabe, K. “Pd-Catalyzed External-CO-Free Carbonylation: Preparation of 2,4,6-Trichlorophenyl 3,4-Dihydronaphthalene-2-Carboxylate” Org. Synth. 2014, 91, 39-51. Ueda, T.; Konishi, H.; Manabe, K. “Palladium-Catalyzed Fluorocarbonylation Using N-Formylsaccharin as CO Source: General Access to Carboxylic Acid Derivatives” Org. Lett. 2013, 15, 5370-5373. Yamaguchi, M.; Katsumata, H.; Manabe, K. “One-Pot Synthesis of Substituted Benzo[b]furans from Mono- and Dichlorophenols Using Palladium Catalysts Bearing Dihydroxyterphenylphosphine” J. Org. Chem. 2013, 78, 9270-9281. Ueda, T.; Konishi, H.; Manabe, K. “Palladium-Catalyzed Reductive Carbonylation of Aryl Halides with N-Formylsaccharin as a CO Source” Angew. Chem. Int. Ed. 2013, 52, 8611-8615. Manabe, K.; Kimura, T. “Repetitive Synthetic Method for o,o,p-Oligophenylenes Using C−H Arylation” Org. Lett. 2013, 15, 374-377. Ueda, T.; Konishi, H.; Manabe, K. “Trichlorophenyl Formate: Highly Reactive and Easily Accessible Crystalline CO Surrogate for Palladium-Catalyzed Carbonylation of Aryl/Alkenyl Halides and Triflates” Org. Lett. 2012, 14, 5370-5373. Konishi, H.; Ueda, T.; Muto, T.; Manabe, K. “Remarkable Improvement Achieved by Imidazole Derivatives in Ruthenium-Catalyzed Hydroesterification of Alkenes Using Formates” Org. Lett. 2012, 14, 4722-4725. Ueda, T.; Konishi, H.; Manabe, K. “Palladium-Catalyzed Carbonylation of Aryl, Alkenyl, and Allyl Halides with Phenyl Formate” Org. Lett. 2012, 14, 3100-3103. Manabe, K.; Ohba, M.; Matsushima, Y. “A Repetitive One-Step Method for Oligoarene Synthesis Using Catalyst-Controlled Chemoselective Cross-Coupling” Org. Lett. 2011, 13, 2436-2439. Ishikawa, S.; Manabe, K. “DHTP Ligands for the Highly Ortho-Selective, Palladium-Catalyzed Cross-Coupling with Grignard Reagents: A Conformational Approach for Catalyst Improvement” Angew. Chem. Int. Ed. 2010, 49, 772-775.